The Irish Final was held on March 1st at the RTE TV Studios in Dublin, hosted by Mike Murphy. The winning song was chosen by the votes of 10 regional juries. Sheeba previously came 6th in the 1978 Irish Final. At the ESC they were 5th. One of the members of the group was Maxi who represented Ireland in 1973 and also came 2nd in the 1970 Irish Final. Nicola Kerr was one of the "Plus Two" that represented Ireland in 1977 with The Swarbriggs. 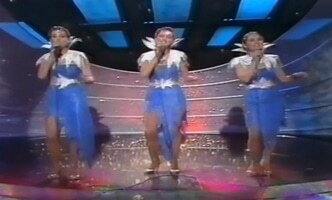 Helen Jordan was a backing singer for Ireland in ESC 1978. The lead singer of Nevada was Karen Black who was a backing singer for Ireland in ESC 1979.